Steering clear of talking about terror. ZFA Israel Advocacy Update. 25 September 2013 – Submitted and written by Gabrielle ‘Gabsy’ Debinski. Media and Advocacy Director of the Zionist Federation of Australia…………….. The world has been rocked by tragedy over the past week. Closest to home, Israel is in mourning. 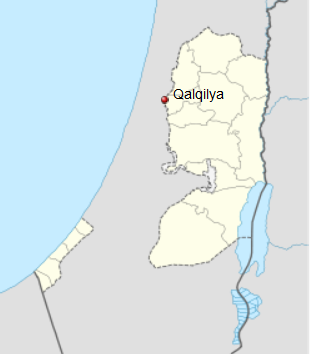 First, twenty-year old Israeli, Tomer Hazan was lured into a taxi by a Palestinian co-worker, who murdered him in a field near the Palestinian town of Qalqilya in the West Bank, and threw his body down a well. Then on Sunday, twenty-year old soldier Gabriel Kobi was fatally shot by a Palestinian sniper while on duty in Hebron. A manhunt still continues to find his killer. The young loss of life is heartbreaking and has shaken Israel to the core. Tragedy also befell Nairobi, Kenya when at least 62 people and over 175 injured were murdered by Somali Al-Shabab Islamic terrorists in a shopping mall. In Iraq, hundreds were killed in back-to-back car bombings across nine cities. Even a Shite funeral procession was targeted by terrorists. This came off the back of the United Nations declaring that in July alone over 1057 people were killed, while in August the death toll reached 916 – the deadliest period in Iraq in over five years. And also on this deadly Sunday, the Taliban took responsibility for a suicide attack on a Pakistani church that killed 75 people. The scenes of bloodshed and carnage were horrific, and many women and children were killed. 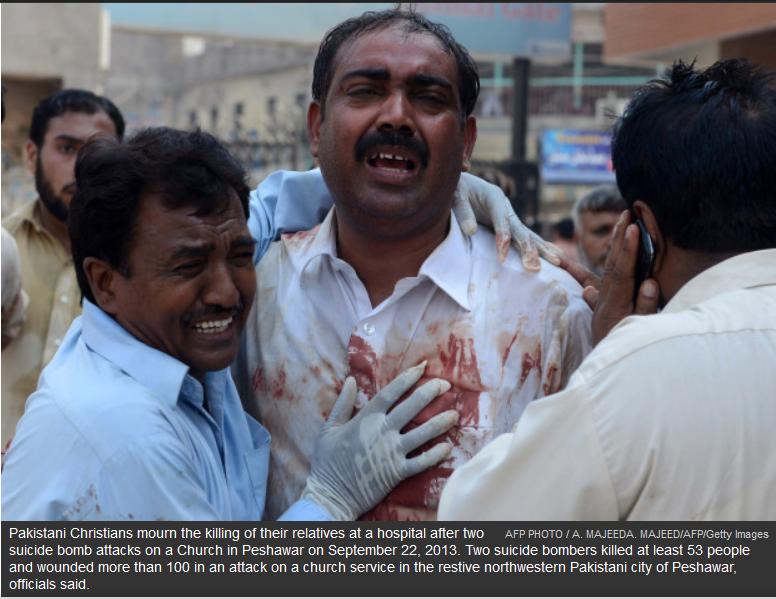 It was the most brutal attack on Pakistan’s Christian minority ever. This loss of innocent life is sad and thought provoking; causing us to question and lament the destructive world we are living in. But what is also concerning is the slanted way these events have played out in the local media. The concurrent car bombings in Iraq received only a miniscule ‘box’ in The Age newspaper, while the mass killing of Christians in Pakistan took backseat to an explosive story on Israeli forces manhandling EU diplomats in the West Bank, and seizing Palestinian aid. Not only did this feature in The Age online, but the one-sided claim was reprinted in hard-copy from Sunday- Tuesday. And when it came to covering the murder of Tomer Hazan, both the Herald Sun and The Age (which only covered it 72 hours after the incident) used the word “allegedly” so many times, making the story seem far-fetched and unreliable, when in fact it is rooted in an admission by the murderer himself. The Australian apparently didn’t find the story newsworthy at all. The obvious question to emerge is why the distortion and warped prioritizing? What makes the loss of one life more or less newsworthy than another? And whose right is it to choose? Is it that people aren’t interested in the deaths of Pakistanis and Iraqis? Or has the death toll in these countries gotten so great that people can no longer comprehend the tragedy? Is the regurgitation of a one-sided story of IDF aggression indicative of a morbid obsession with Israel? Or is the media simply diverting attention away from a string of Islamic terrorist attacks out of fear of backlash? The answer is probably all of the above. Further, author, journalist and publisher, Melanie Phillips, came out scathing this week in her blog post ‘Mass Murder and Moral Blindness.’ She condemned British Prime Minister, David Cameron’s response to the Nairobi attack. “these appalling terrorist attacks that take place where the perpetrators claim they do it in the name of religion- they don’t. The events of the last few days were all perpetrated by Islamic extremists. Identifying this global commonality does not make one a racist or an Islamaphob. It does not lay claims to one’s approach to the Islamic tradition or to Muslims worldwide. However, it seems that fear of such backlash has led the mass media to act as the selector and framer of fact and event. Increasingly we see our media outlets chose what stories to omit, and what to include, what to accentuate and what to downplay. This approach to covering world events, particularly terrorism, is creating apathy towards the plight of those who bear the brunt of this extremism, as well as a warped view of connected global attacks. And so in the meantime it’s easier to stick to what you know, and so they do. They stick to critiquing Israel…relentlessly. I am so tempted to decorate my comments with a Latin dictum or two to keep up with the Debinskis, but I shall stick to my typo infested Inglese . ( incidentally the use of “non-sequitur” re Cameron’s absurities is redundant, but I am being too precious ). What I am more serious about is the notion that David Cameron happens to be the PM over some 2,869 mulsims, all residing all over UK – obviously in excess in Birmingham. So what is Cameron to do with the second religious group under his “control”. Obviously and sequentially, attempt to….control them. Beseball bat approaches could only be incredibly counter-productive precisely because the UK PM knows that, in very fact, Islam is unbelievably agressive. So the tactics of deceptive affable rhetoric is compulsory if any kind of consiliatory gestures are to be envisaged from the persuasive and powerful muslim leaders in ……….Cameron’s UK. In practical terms, motivated by the very immediate Islamic eruptive nature, a public forum on the issue of civil safety targeting (!) Islamic perceived propensity for intollerance and associated repsonses would be more than necessary. Such a move will deliver your message – and mine and everybody else’s in this limited format of a blog – to the necessarily engaged audience and I mean our vast civil society. You have convinced me, the issue is carrying the message well beyond. It is over to you…………………………..
…just a small correction/addition. Pls see that there are 2.869 MILLION muslims in UK !! !